After a few quiet days outside of Boeing and Brexit to kick off the week, the flow of news is a bit more active this morning. Positive sentiment in equity futures has quickly worn off this morning as headlines indicate that the US and China have put off a planned meeting between President Trump and President XI later this month. The meeting now won’t occur until April at least. Sticking points like the treatment of intellectual property remain unresolved. The delay shouldn’t be entirely surprising given the President’s comments just yesterday that he was in no rush to sign a deal. In economic data, Import and Export Prices rose more than expected, as was also the case with Jobless Claims. One stock to note, though, is GE. While the company lowered guidance earlier (no surprise there), it has actually erased earlier losses and is now positive. It shouldn’t come as much of a surprise given the market’s strength of late, but sometimes you need a chart to make it hit home. 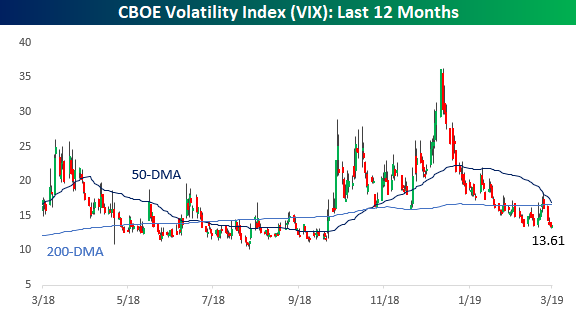 Volatility has once again sunken like a stone this year as the VIX dropped below 14 again this week and just this morning traded down to its lowest level since October 5th. Start a two-week free trial to Bespoke Premium to see today’s full Morning Lineup report. You’ll receive it in your inbox each morning an hour before the open to get your trading day started. 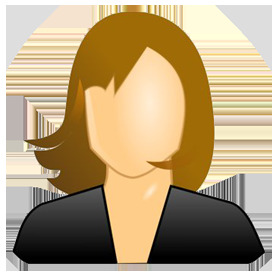 Please click the link below to read today’s Bespoke Morning Lineup.